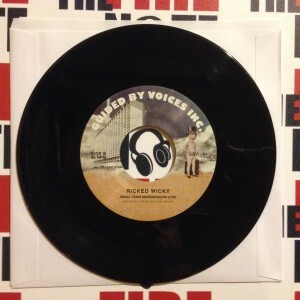 Robert Pollard’s Ricked Wicky has produced tons of physical joys for collectors in 2015, as these two seven inches represent the sixth and seventh single from the group this year. 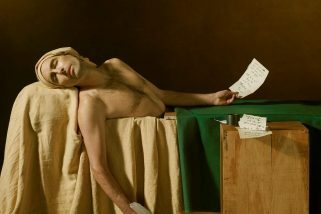 They are in support of the band’s newest and third album, Swimmer To A Liquid Armchair, which like the two full lengths before it released in 2015! Both records have an album track for the A-side and an unreleased B-side penned by Ricked member Nick Mitchell. 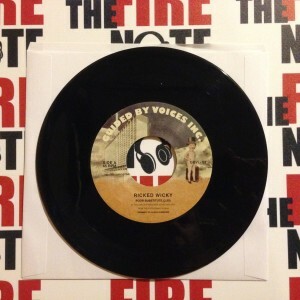 The first 7-inch is the groove rocker “A Number I Can Trust,” which highlights some of Ricked Wicky’s roots. It is a building track that has a big guitar and drum background and feels way bigger than its 2:25 running time. The B-Side is “Small Town Underground,” that follows its A-side lead with Mitchell out front putting forward his classic 80’s style rock voice. 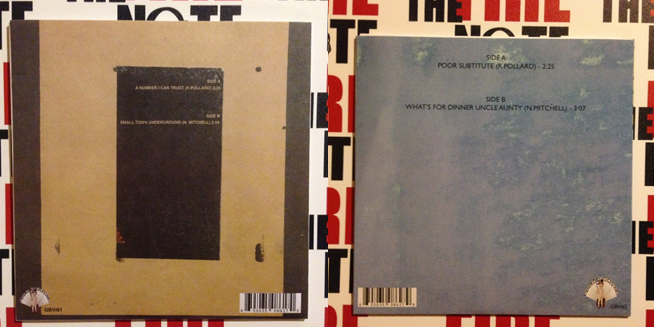 The second 7-inch here is “Poor Substitute,” which I think is one of the strongest tracks RW has released to date. It also received its own video so you can’t lose here starting off! The B-side, “What’s For Dinner Uncle Aunty,” is a foot tapper lead by Mitchell that has several quality harmonies and layered backing Pollard vocals along with an intricate guitar work middle that has its own call out moment. It is a strong Mitchell entry into their catalog. Both jackets here are the standard cardboard cover with the always interesting collage art on the front and back. Both are on black wax with the standard GBV labeling and are limited to 500 copies each. Both records are still available at Rockathon.